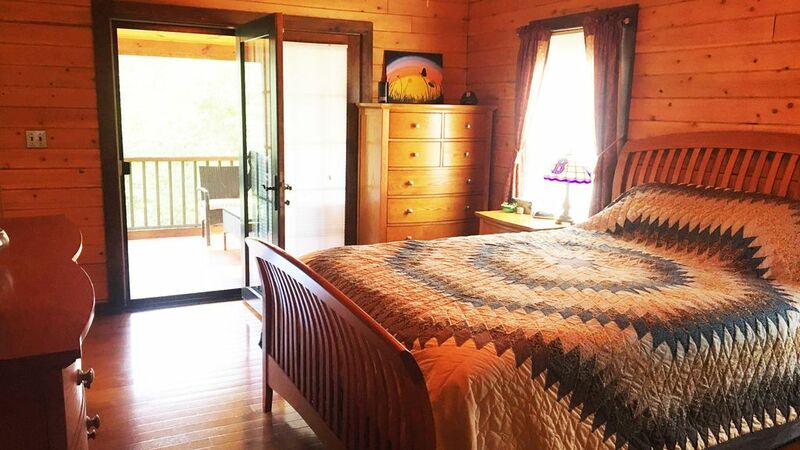 Our property is located on approximately 2 acres of private land within close proximity to an 18 hole golf course. 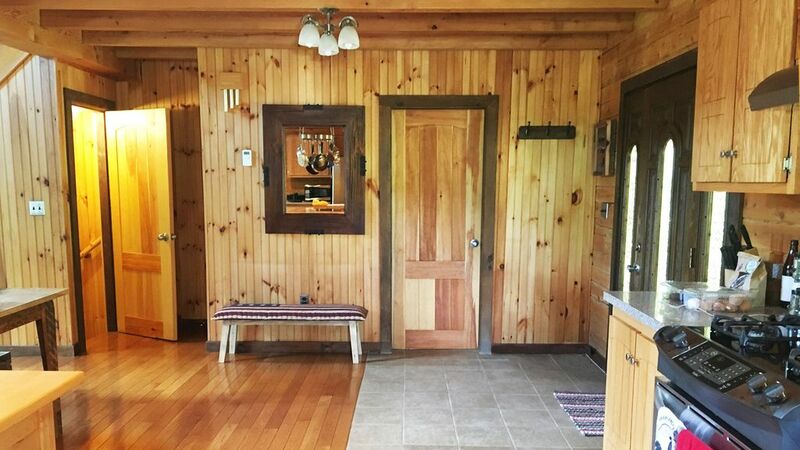 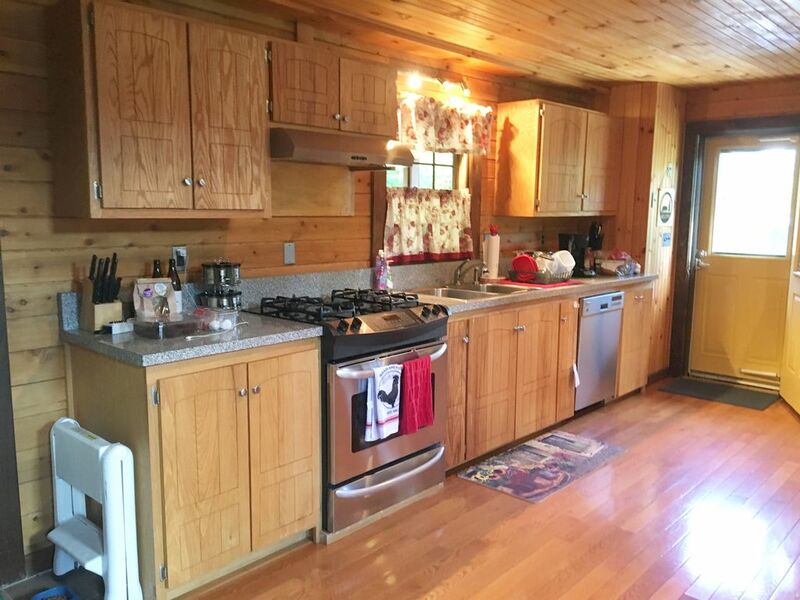 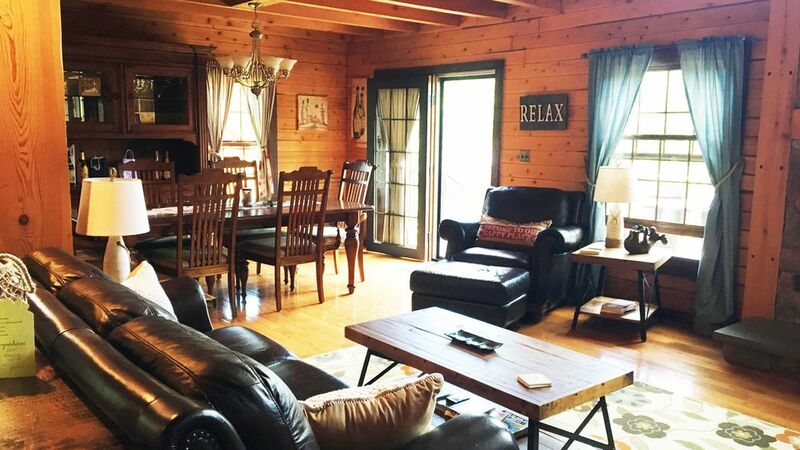 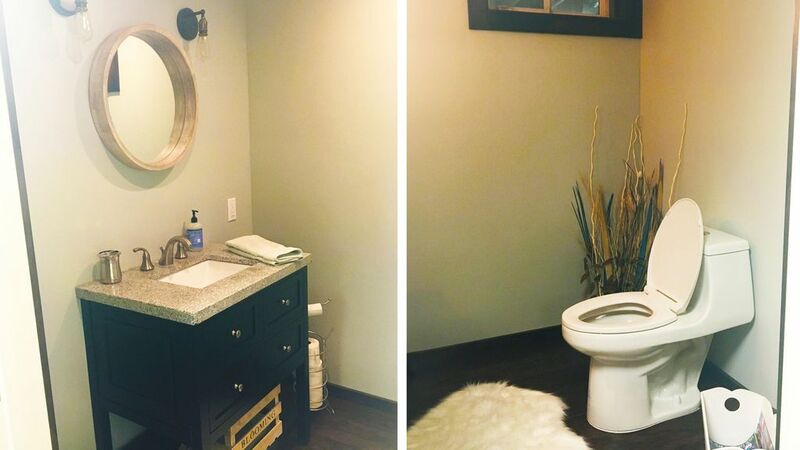 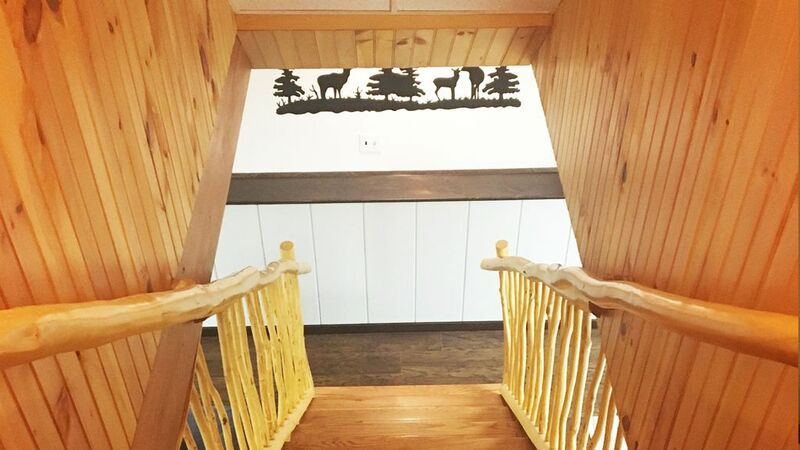 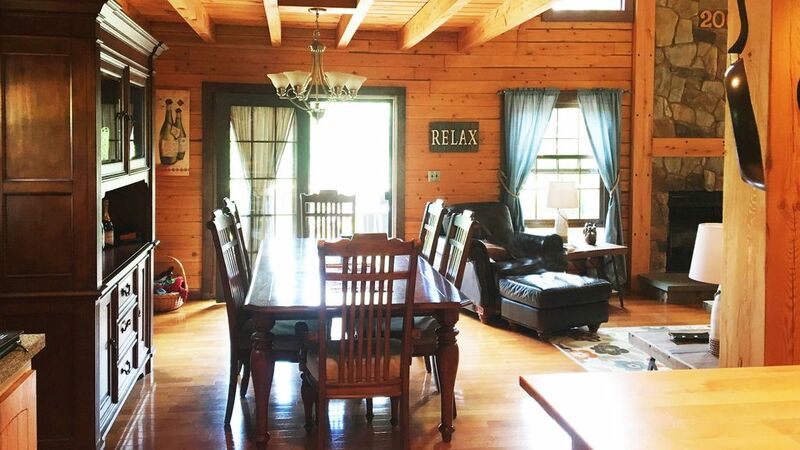 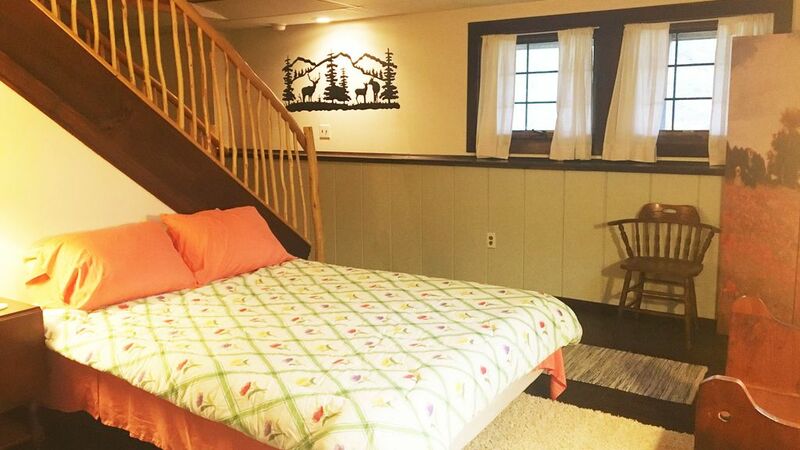 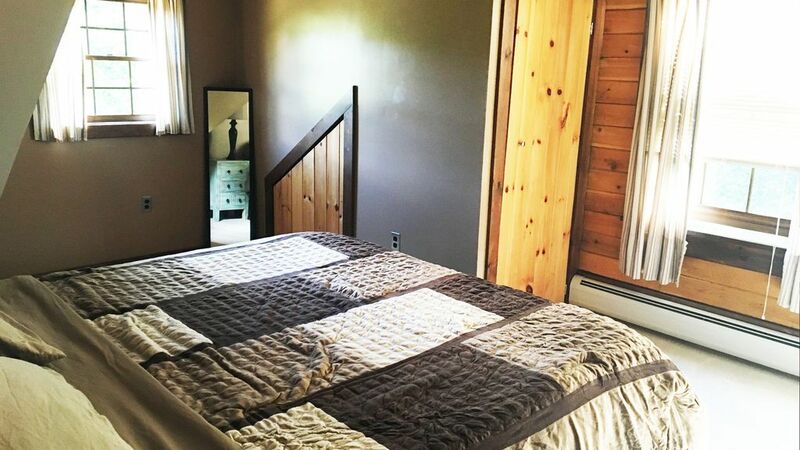 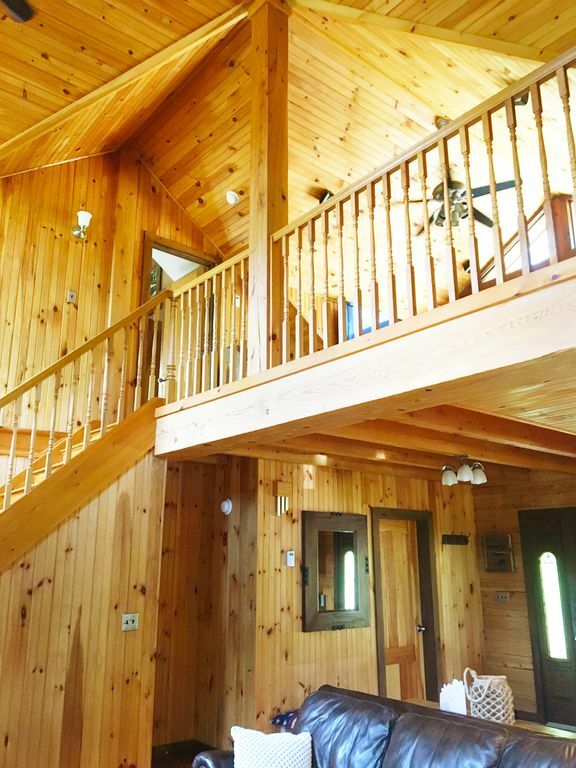 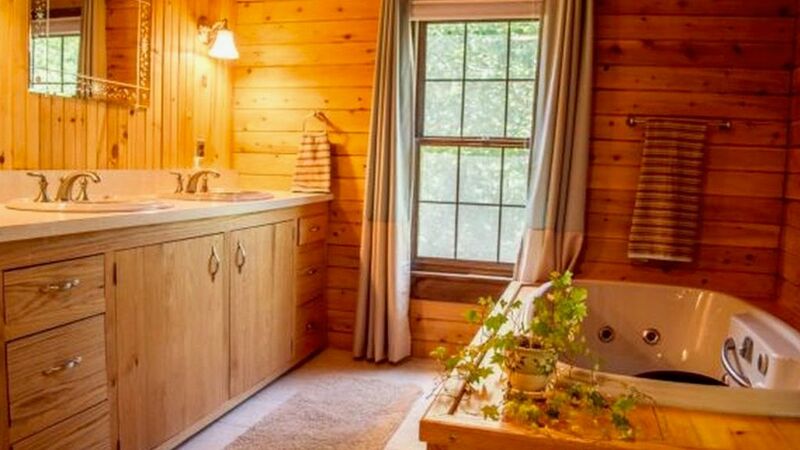 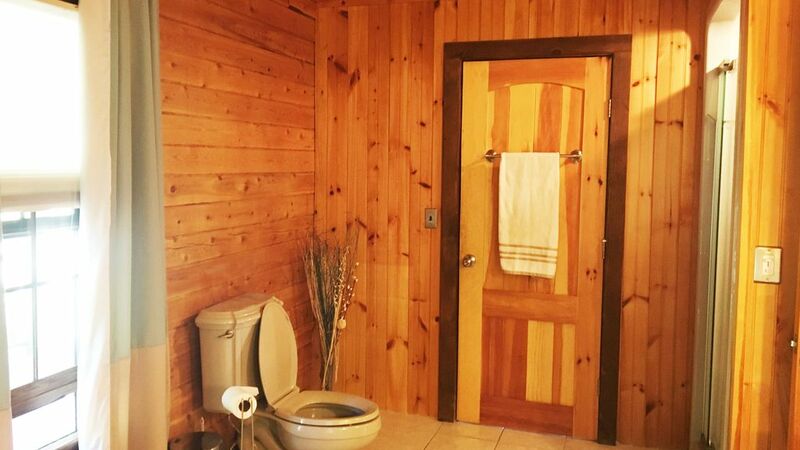 This updated contemporary log home has modern amenities, including 4 bedrooms (1 king, 2 queens, 2 twins, 1 full pullout), 4 full bathrooms, and pull out full bed couch in the loft. 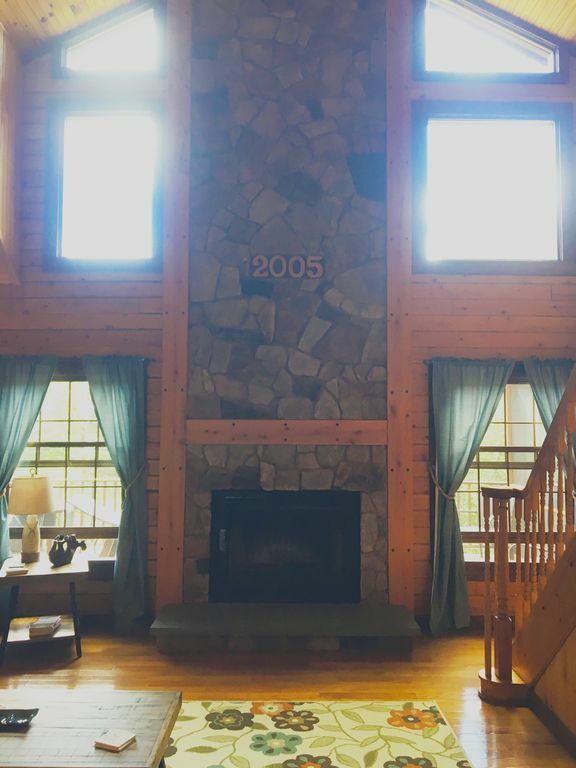 The cathedral ceilings in the living room show off the two-story stone fireplace and great windows. 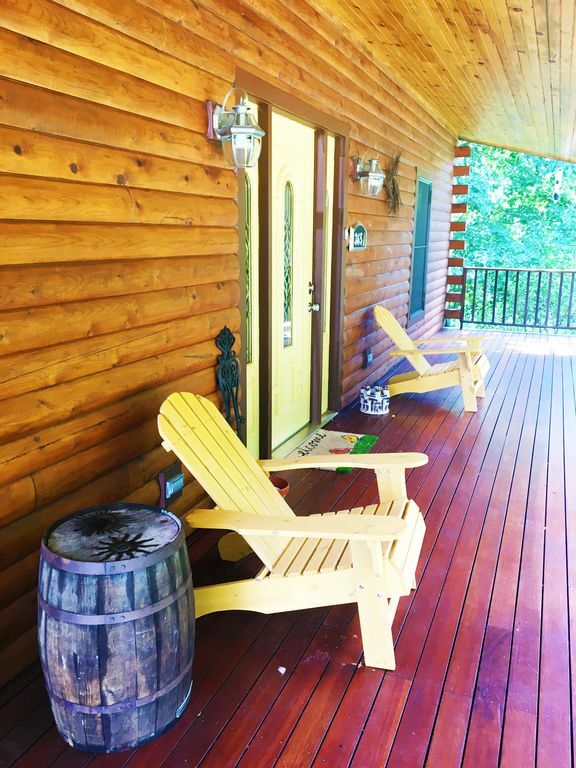 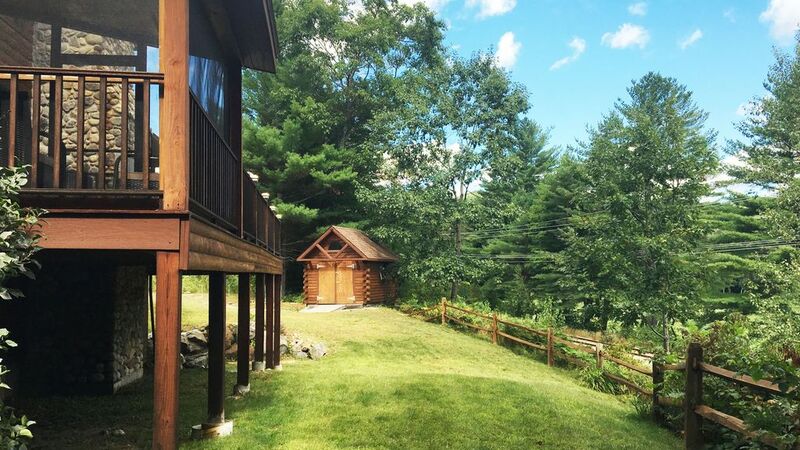 The back deck has a stone fireplace and overlooks the fairways to the Pemigewasset River and the mountains which you can enjoy while grilling and enjoying a meal. 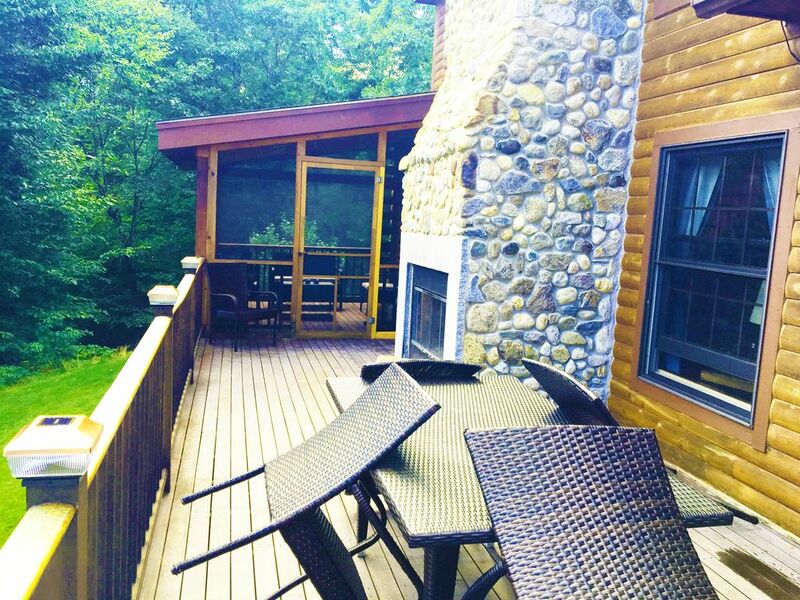 Part of the back deck is fully screened in. 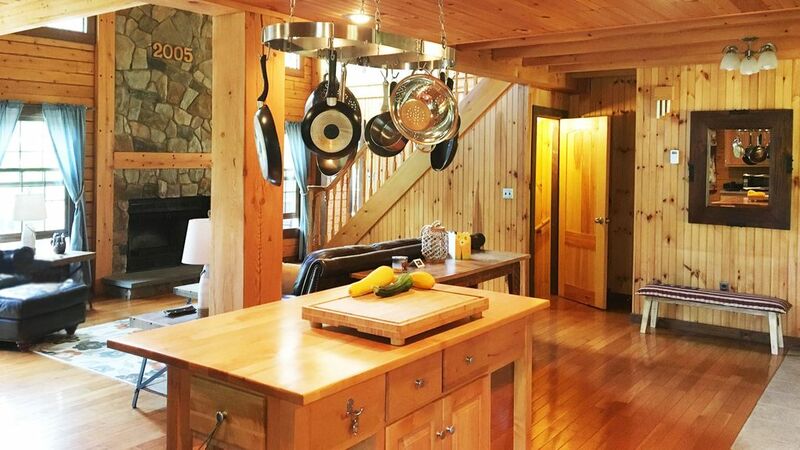 The open concept kitchen, dining and living area create a great user friendly space. 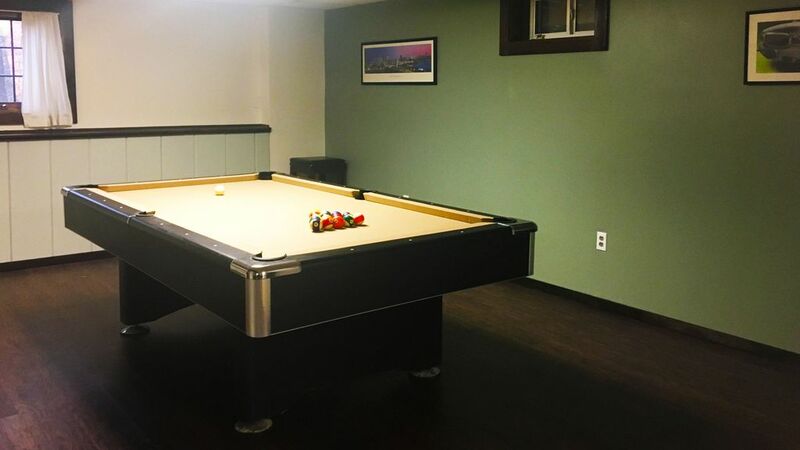 There are three levels of space where you can warm up by the cozy fire, retreat to a quiet area of the home, or gather in the finished walk-out basement to play cards, games and pool (billiards). 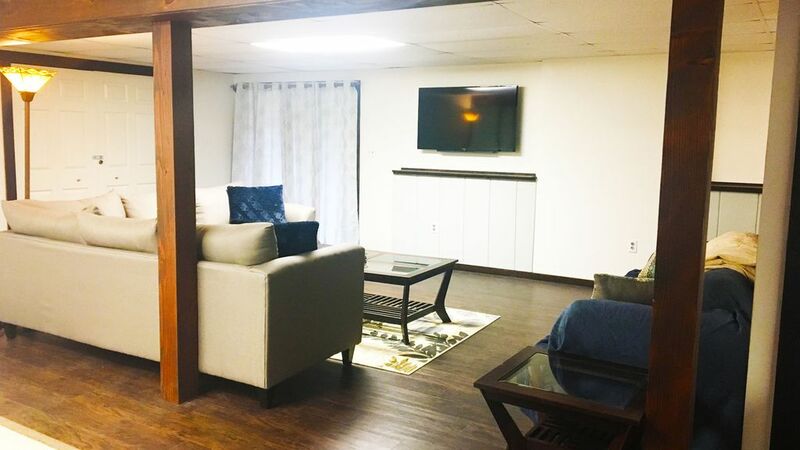 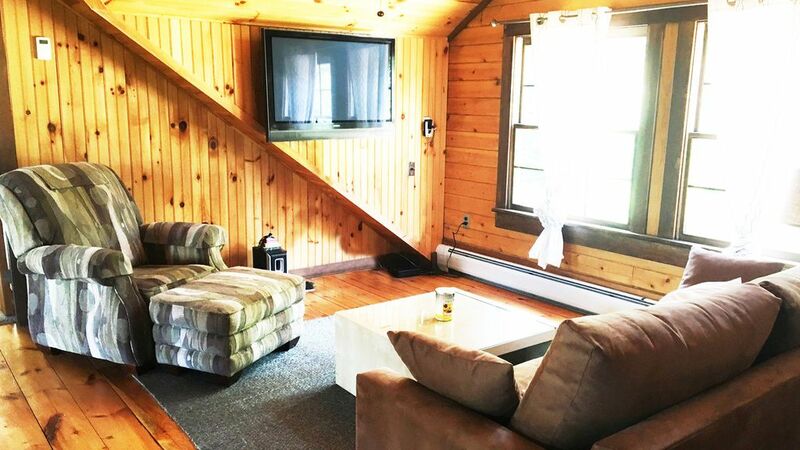 The home comes equipped with 3 TVs, DVD player, Netflix, & internet. 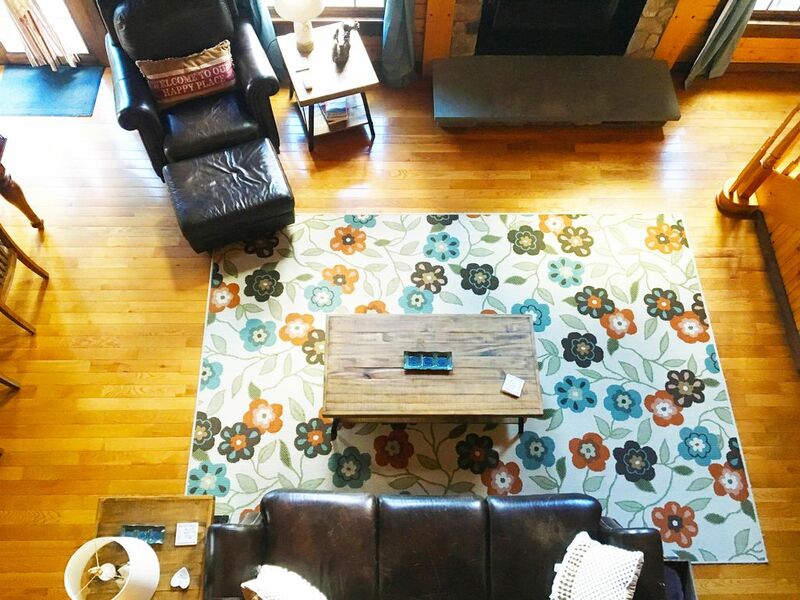 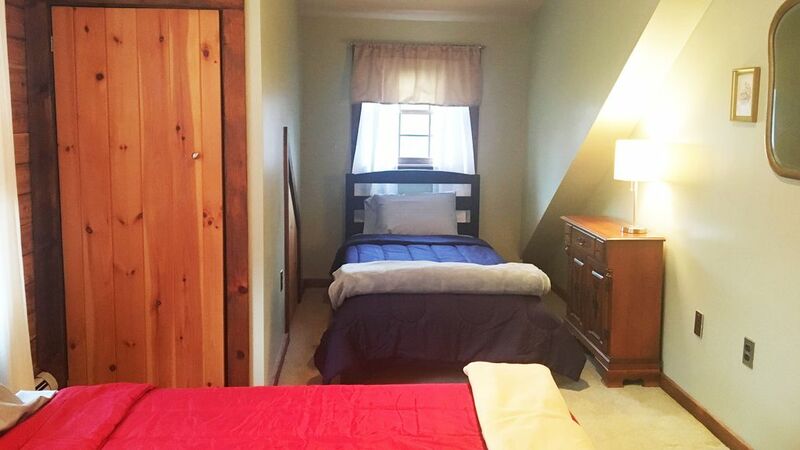 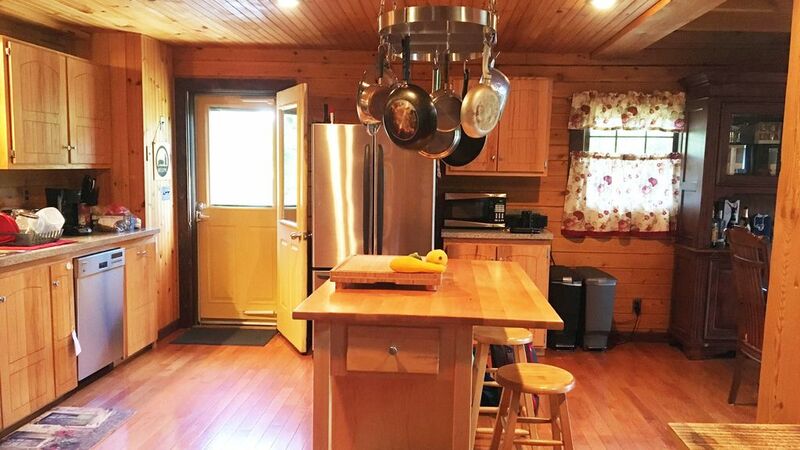 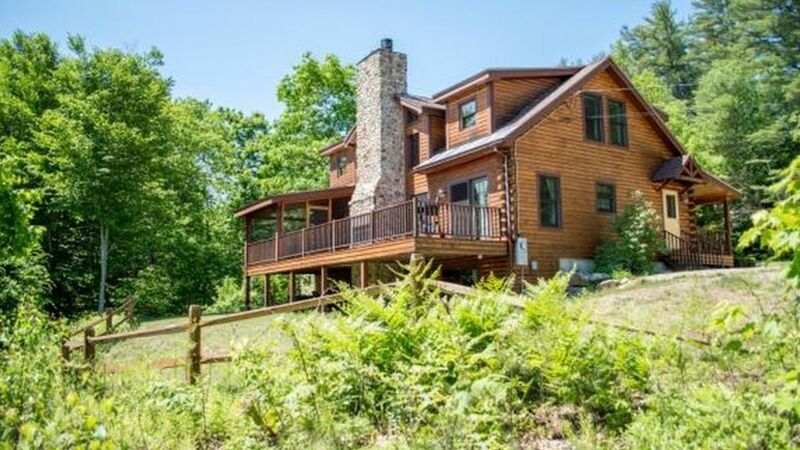 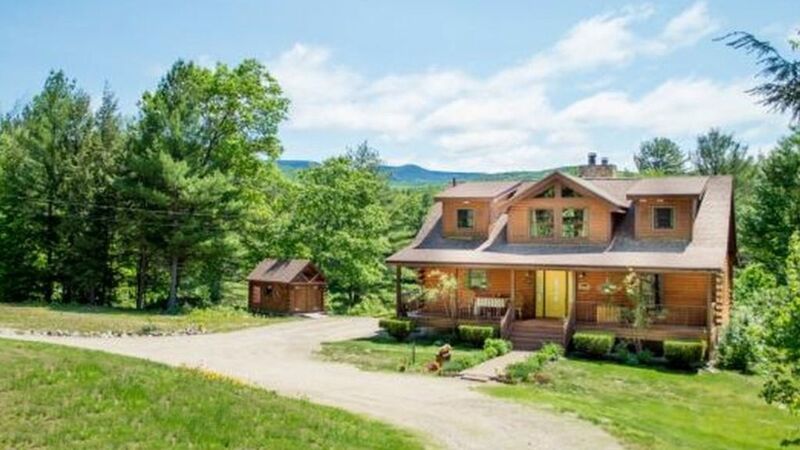 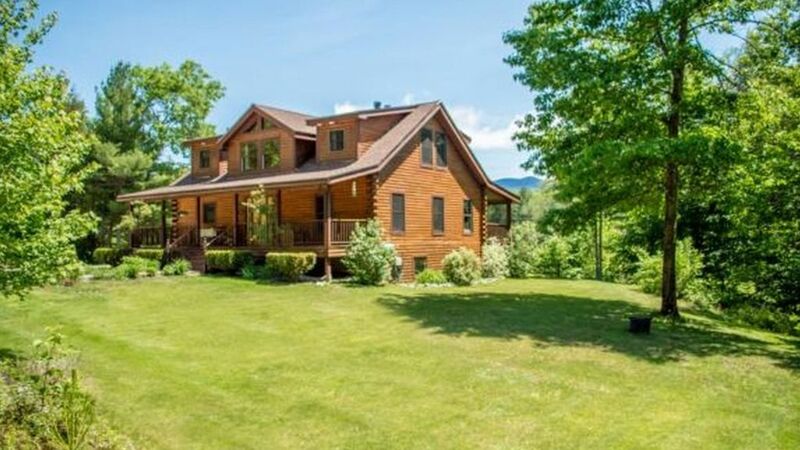 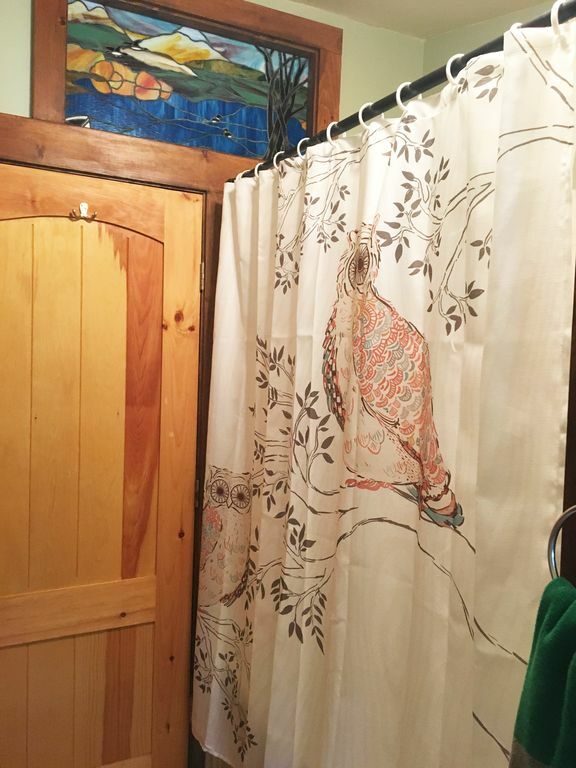 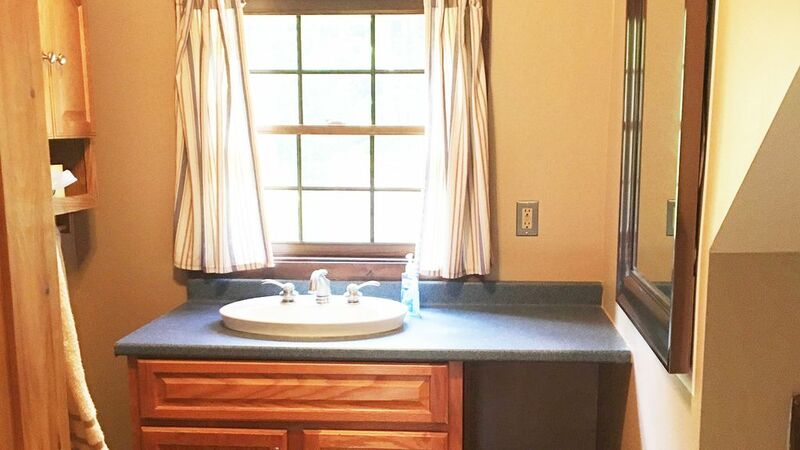 The property is close to Loon Mountain Ski Resort, Waterville Valley Ski Resort, golfing, lakes for water activities, hiking, restaurants and many other outdoor activities. 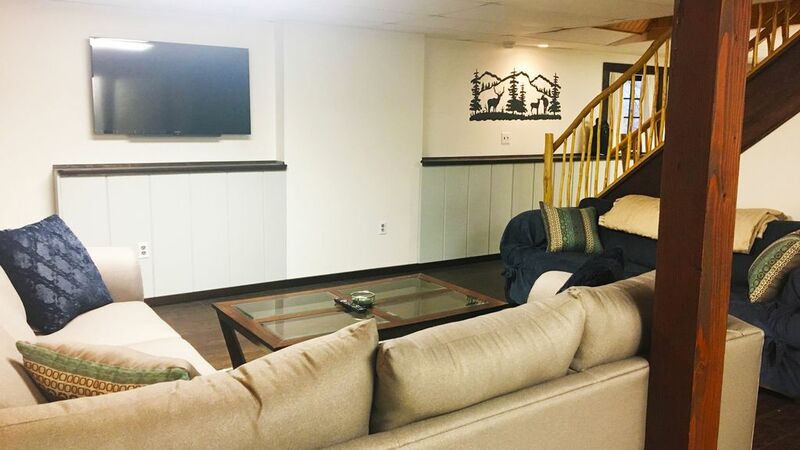 Snowmobilers will enjoy the easy access to Corridor 11. 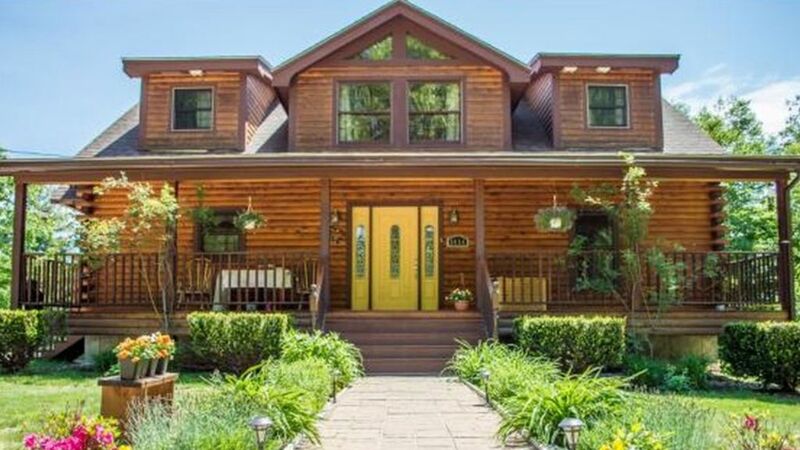 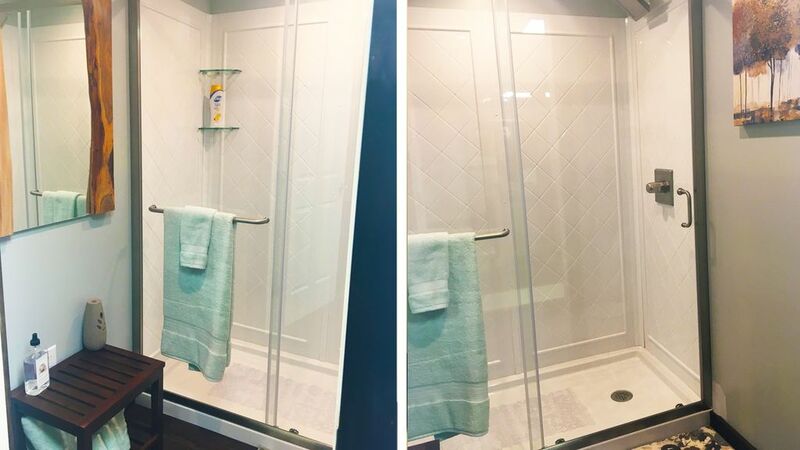 This home has four seasons of fun right at its door step!